The coast of Normandy, France, 1894: A mysterious young woman is rescued by an anonymous man after a deadly shipwreck. Paris, a few months later: The body of a well-dressed woman in a velvet mask is found in the abattoir district of La Villette in Paris. Next to the brutally strangled corpse, the drunk watchman—who witnessed the crime but was too terrified to intervene—finds a pendant featuring a black unicorn. 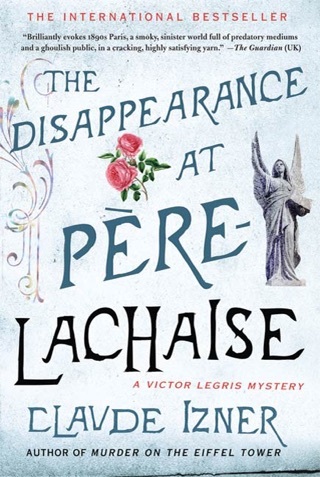 Newly married bookseller Victor Legris is asked by an acquaintance to solve the murder of Louise Fontane, but he is initially baffled by the case. Louise was poor, so where did her finery come from? And what is the significance of the black unicorn? 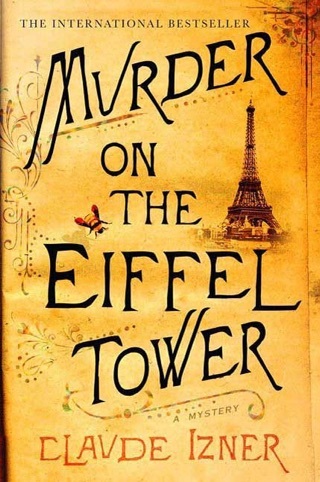 Within days, two more murders startle Paris—both victims were well-respected and seemingly wealthy, both have been killed in a similar fashion, both men's apartments have been defaced and ransacked, and both were members of the Black Unicorn Society, an organization bent on finding the philosopher's stone. 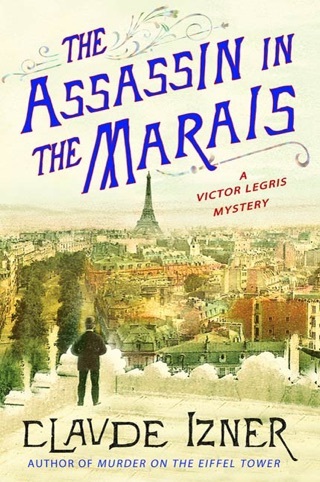 Victor and his assistant (and brother-in-law), Jojo, struggle to draw the connections between the murders. And they struggle to keep their sleuthing from their wives, who frown upon their interest in mysteries. 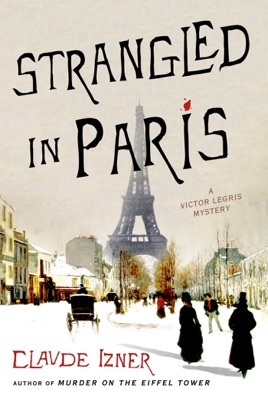 As their secret investigation progresses, they discover that in belle époque Paris, young girls with no money or background are as ruthlessly preyed on as ever they were. . . . Strangled in Paris is the sixth installment in Claude Izner's mystery series starring Victor Legris. 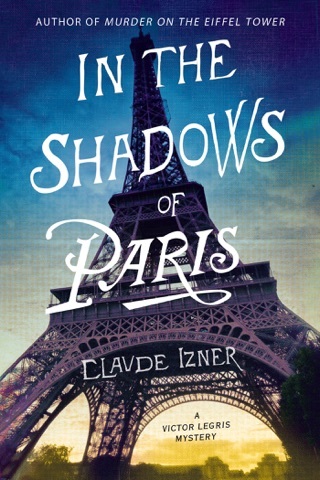 At the start of this brooding and atmospheric mystery set in belle epoque Paris, the sixth and best yet from Izner (the pseudonym of sisters Liliane Korb and Laurence Lefevre), lame recluse Corentin Jourdan rescues an attractive young woman, Sophie Clairsange, from a schooner wrecked during a powerful storm on the Normandy coast. After Sophie recovers from her ordeal, she heads to Paris, followed by Jourdan. 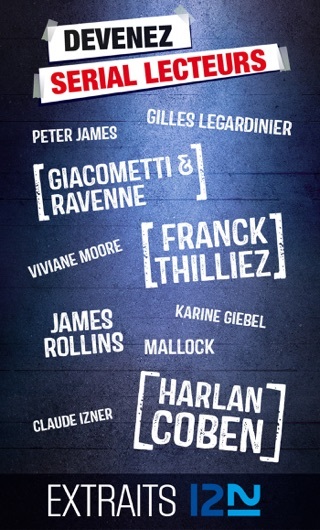 About a month later in Paris, Martin Lorson, a professional stand-in for a variety of workers in need of a break, is serving one night as a watchman at the La Villette meat market, where, to his horror, he witnesses a man strangle a masked woman. 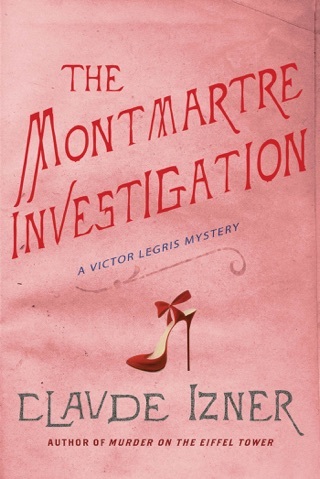 The crime attracts the interest of bookseller and sleuth Legris, who s tantalized by the one clue left behind by the killer: a medallion with an engraving of a unicorn. Tense, dramatic, and clever, this puzzle should deservedly broaden the series readership.